Say Goodbye to all your plumbing woes! With The BEST Knoxville Plumbers!!! Warm greetings to everyone! 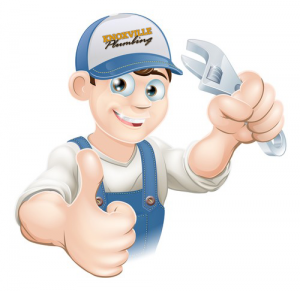 Knoxville Plumbers welcomes you into an arena of quality plumbing services. We offer various plumbing solutions to the citizens of Knoxville and the surrounding area. Major projects or minor faults, we are a one stop solution for all your plumbing needs. Installations and plumbing repairs were never so easy before. With one of the best plumbing companies of Knoxville, you are always one step ahead of the plumbing troubles. The legacies of 25 years in the service of the residents in Knoxville, Knoxville Plumbers are available 24 X 7 all year round. A thoroughly professional team with the latest techniques and equipments is our USP. We serve with a smile and ensure that all the problems with your water and drainage pipes are solved forever. Our esteemed customers are guaranteed complete satisfaction and what’s more relieving is that we don’t even charge more for after hours plumbing. Whenever you have a trouble with the water pipes and fittings, no matter what time of the day it is or whether it is a holiday or not; just give us a call at (865) 922-9490 and experience the finest plumbing service ever. Our trustworthy and honest team will serve you such that you feel relieved for making the right choice. Quality is our motto and we have built a long standing reputation for our plumbing services in the market due to 100% customer satisfaction. You get the best solutions in the very first time and at low rates that are fixed. Our customers’ reviews speak for our service and punctuality. We are proud to mention that we have been accredited with a rating of A+ by BBB and we are also the members of Knoxville Chamber of Commerce. You can reach us at Google+, twitter and facebook. Text us at 309-4177. You can also check for our services to your zip code. We are always happy to hear from our clients. Write to us at Knoxville Plumbing, 4616 FENNEL RD., Knoxville, Tennessee 37912. So why wait for tomorrow when you can have all your plumbing worries addressed today, that too instantly. Give us a chance to lend a helping hand and we assure you the guaranteed answer to everything from the most efficient Plumbers in Knoxville.